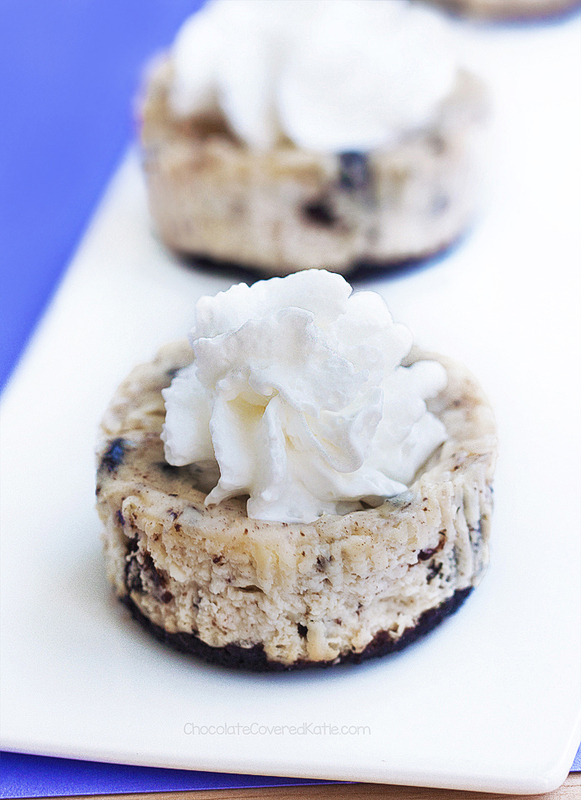 Single serving mini Oreo cheesecakes that can be vegan, keto, soy free… and NO baking required! 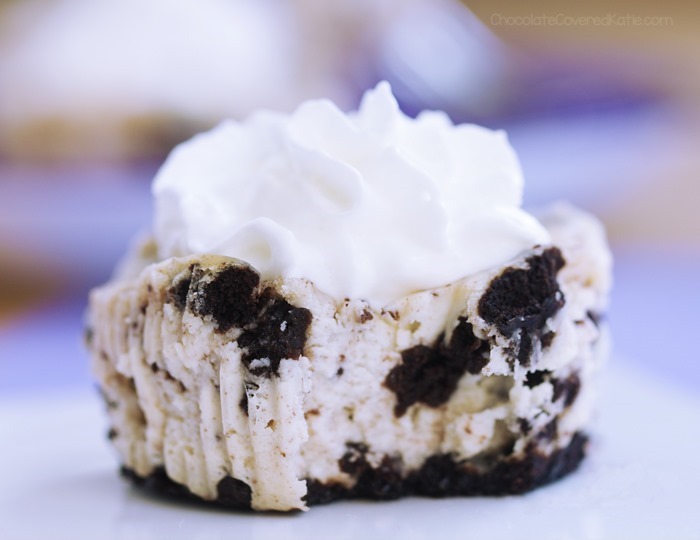 These mini Oreo cheesecakes have just FIVE ingredients. Even if you don’t consider yourself a baker, this recipe can be whipped up in minutes, without a stand mixer or complicated baking techniques. 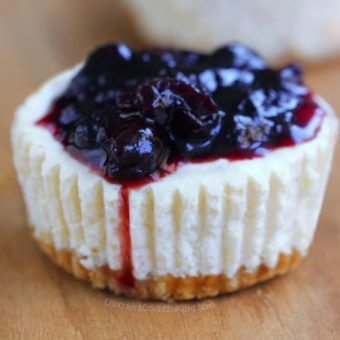 The next time you’re tasked with bringing dessert to a party, why not skip the boxed cake mix and whip up a batch of these adorable mini cheesecakes instead – they are deceptively simple to make! They look so professional that everyone will be impressed with your baking skills and think you’ve spent hours in the kitchen. If you get really inspired, you can make them even fancier by serving each individual cheesecake topped with coconut whipped cream or Vegan Marshmallow Fluff. 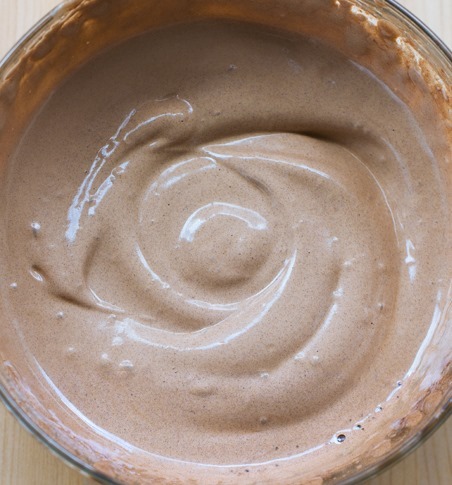 There are two versions of the recipe – both equally delicious, and one of them is no-bake. The mini cheesecakes can also be dairy free, soy free, egg free, sugar free, gluten free, vegan, keto, and paleo. 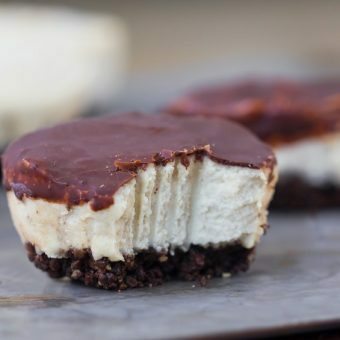 To make these cheesecakes paleo and keto-friendly, just go with the no-bake coconut butter option and use this flourless recipe for the chocolate sandwich cookies. Oh also, if you want a version that is both no-bake and coconut-free, you can use the filling from this No Bake Oreo Cookie Pie. You have so many options, which is always a good thing when it comes to cheesecake. And did I mention these mini cheesecakes taste like the filling of an Oreo cookie? 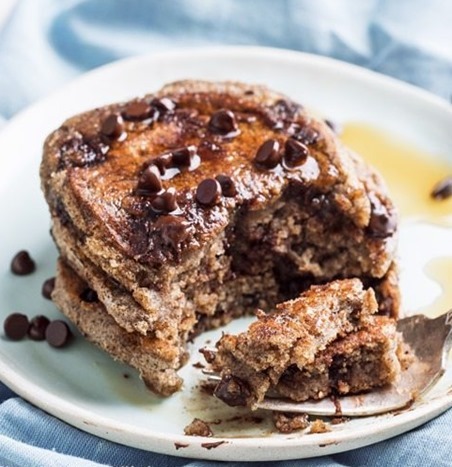 *Notes: For the coconut-butter version, there’s no need to bake! 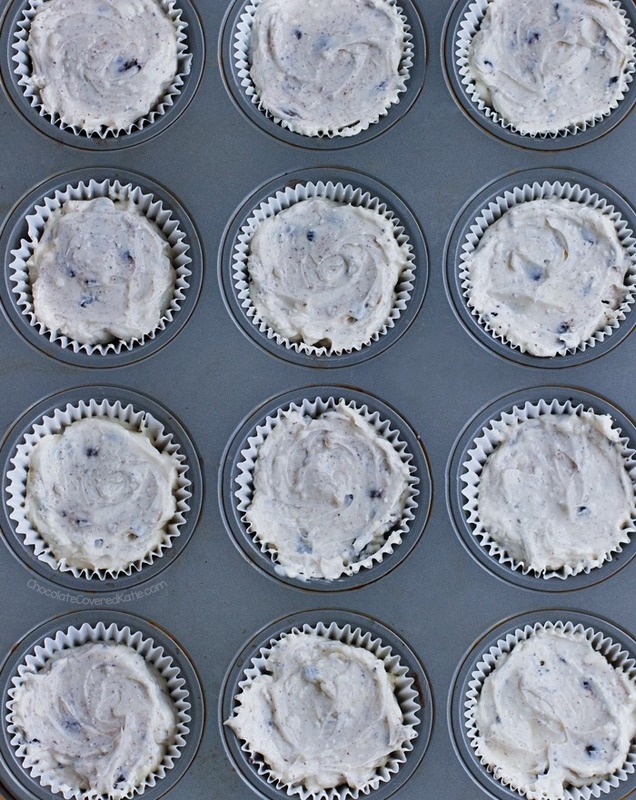 Just portion the batter into the cups and refrigerate to set. You can skip the crust if you wish. Or simply place a cookie in each liner instead of crust, then top with cheesecake batter. For the keto version, use the sandwich cookie recipe linked earlier in the post. Either bring cream cheese to room temperature or gently warm coconut butter to soften. Crush 6 full sandwich cookies (I used the linked recipe, but feel free to use your favorite) until fine crumbles form. 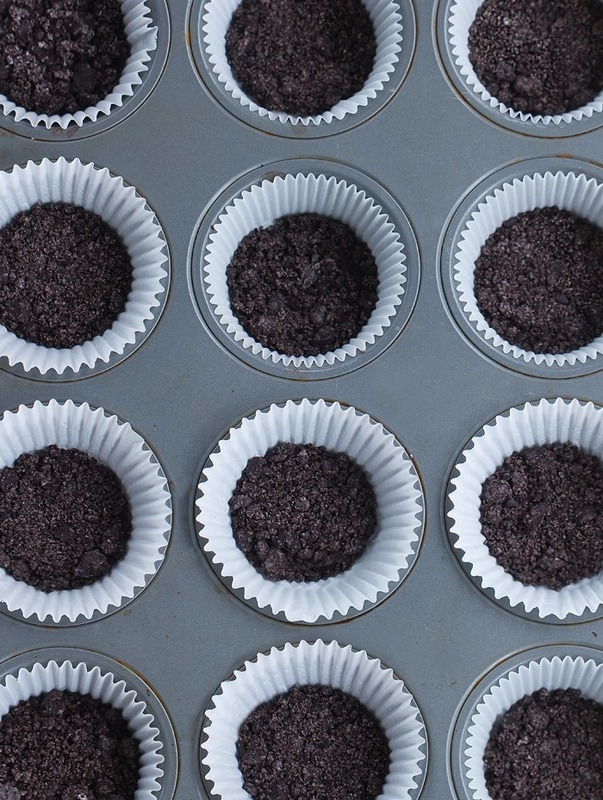 Line a cupcake tin with liners, and portion the fine crumbs into the bottom of 10-12 liners. Press down, then set aside. For the cream-cheese version, preheat oven to 350 F. (I also like to add a baking pan filled 1/2 way with water to the bottom oven rack to add moisture to the oven and prevent cracking, but this is not required.) 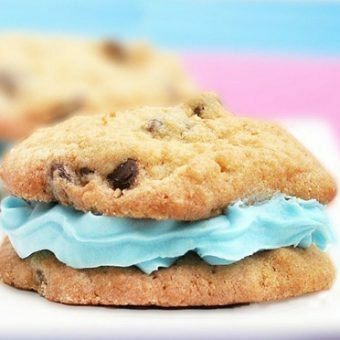 In a blender, food processor, or with a hand blender, combine all remaining ingredients except the sandwich cookies. Coursely chop 4-6 cookies, and stir into the batter. Portion into liners, smooth down, and bake 20 minutes on the center rack – then do not open the door but turn off the oven and let sit 5 minutes. Remove still-underbaked cheesecakes and let sit 1 hour to cool gradually. Then refrigerate overnight to set. The wrappers will peel off easily the next day. omg i just got a jar of coconut butter for the first time and haven’t been sure what to do with it, so this recipe is PERFECT! also love that it’s build in portion control – something i definitely need! haha thanks for sharing your recipes as always, lady! These look amazing! I need this in my life! These would be so perfect for a baby or bridal shower. Love how cute they are! The idea of Oreo cheese cake is really wonderful. I love this kind of unique recipes and it is good for health also. Now i have a good choice for weekend gathering. I am sure this would delight everyone. I love this idea and can’t wait to make them. Yum! Katie these look fantastic! My sisters and I love you and your blog. Instead of regular yogurt? Sure why not? 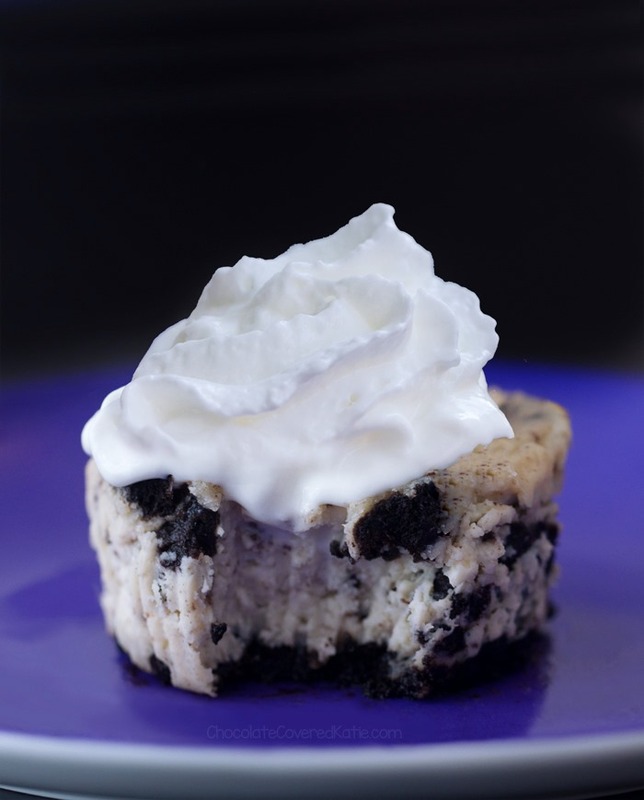 These little Oreo cheesecakes look too cute! I would gobble them all up in a heartbeat! Kite Hill’s original almond milk cream cheese is my favorite kind of dairy free cream cheese to use. Next time I purchase it, I’ll use the leftovers that I don’t use on my bagels to make a recipe like this! This coconut butter-yoghurt-agave-vanilla mixture tastes exactly like the Raffaello (by Ferrero) filling, yum! Didn’t know I need coconut butter in my life 🙂 how can I possibly wait until tomorrow until it’s firm?! There’s a Raffaello-like spread out there which contains coconut and almond which I could imitate with coconut butter.. So many bad ideas!! 😀 thank you! I’ve never heard of Raffaello (by Ferrero) but now I really want to try them! 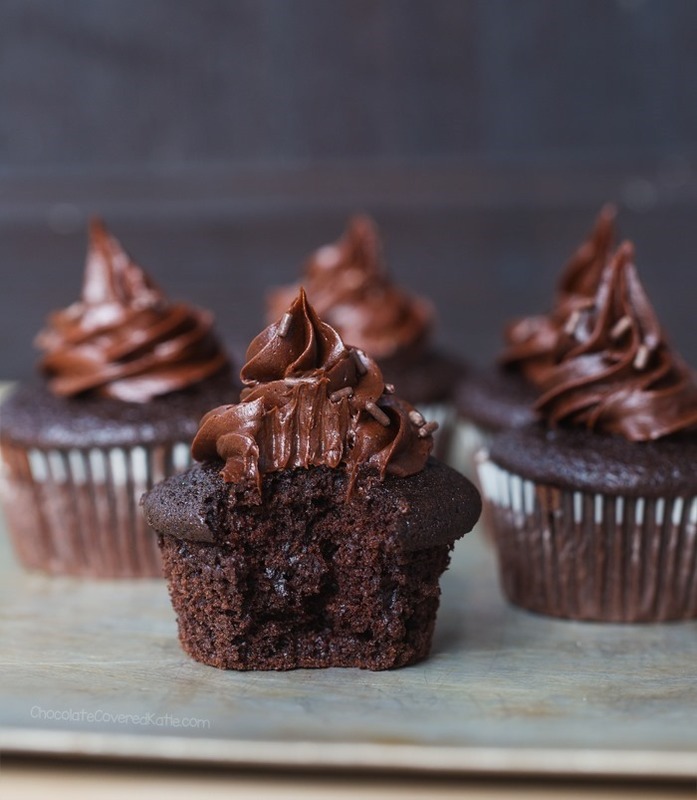 Katie… I LOVE your recipes… as a breast cancer survivor and someone with a big sweet tooth, you were the answer to my prayers!! 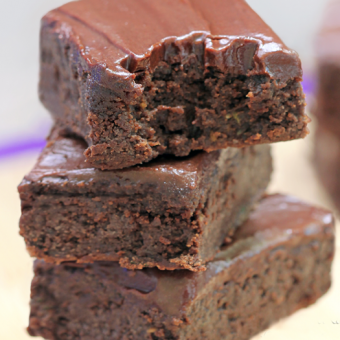 I make your Black Bean Brownies all the time and they are always a huge hit! I also just made your Pizookie and it’s also a big hit… hint though, because I don’t use real sugar in anything anymore, I used a 1/2 cup of agave (I use this, honey or maple syrup a lot as my sweeteners!) and the pizookie was amazing… moist and still sweet! Thought you’d like to know 🙂 Thank you so much for all your amazing hard work in creating these recipes… you saved my sweet tooth! I just tried this at home and it was amazing!! Thanks for sharing this recipe.